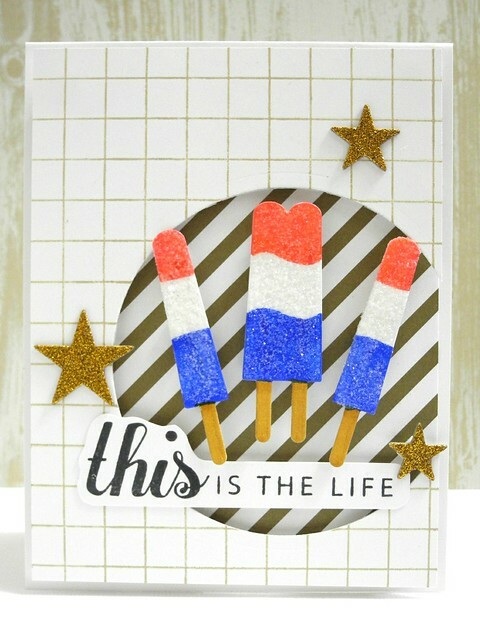 Today I have another fun card showing off some of the AWESOME new goodies in the Simon Says Stamp This is The Life release! I am having SO much fun with these stamps and dies! For this card, I used the Life's Journey stamp set along with the super cute Frozen Treats die set. 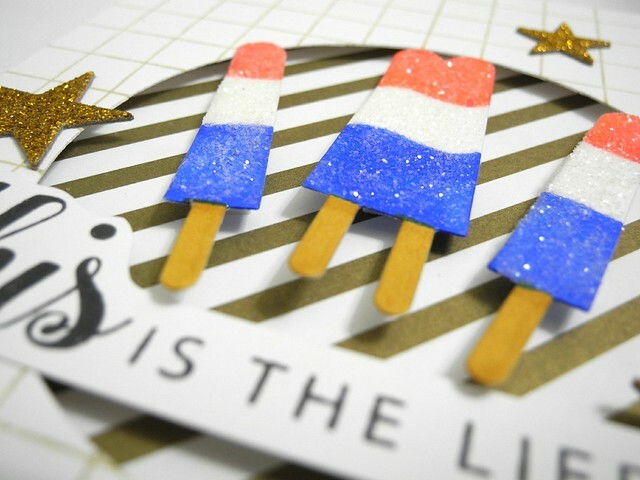 I colored the popsicles with Spectrum Noir markers, coated them with glossy accents, and then glittered them for a super fun look! You can find a complete list of the supplies in the links at the bottom of this post. But mostly... just know this: GLITTER!!! It was fun. For reals, though. It was super tons of FUN! I actually created the patterned paper by stamping the grid pattern in kraft ink on white cardstock. I kind of love that lots. For reals, though. Lots. But not quite as much as glitter. Because. GLITTER!!! Sooooo.... if you haven't checked out the release yet, you probably should, because, dude, it rocks. wow this is awesome.. love those ice creams and stars.. fun release..
super fun card. love it! ACK! Adorable card! Those yummy popsicles look good enough to eat! Oh, WOW! Simply, awesome and stunning card!!! Love!